FREE AUTO-NOTIFICATION! Email me if you would like to be auto-notified of homes matching your criteria! You will receive information that meets your criteria. You will also be alerted via your Email as soon as new listings become available. Your search can include all the neighborhoods you are considering and will make this searching less time consuming. Fast, easy and up to the minute information. My reputation is impecable and I can provide you with references. I am a Certified Residential Specialists and Accredited Buyers Representative. As an Accredited Relocation Specialist I am approved by many relocation company's. My experience spans over 25 years. I enjoy finding the perfect homes for my many clients, who range from first time buyers to top executives. I strive to please my buyers and sellers. 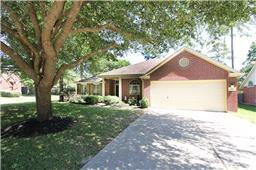 Kingwood, The Woodlands, Atascocita, Eagle Springs, Fall Creek, Walden on Lake Houston,The Commons, Summerwood, Oakhurst,and the newer communitys on Lake Houston are all desireable community's ,very popular neighborhood's! !Kingwood, The Woodlands & Fall Creek are golf course community's(The Golf Community Fall Creek offers Redstone golf course & is home of Shell Houston Open). The Commons on Lake Houston & Northcrest Ranch also has an acre + homesites, offers buyers to choose their lot and home plan to build a custom home Premier builder's that build outstanding homes. There is an abundunce of native trees in the heavily wooded northeast side as well as Lake Houston. If you are moving into Houston, allow me to share my expertise in the areas you may want to consider. I can provide you with information on Schools, driving time, attractions, golf courses, Medical, anything you have questions about. Many neighborhoods such as Kingwood & The Woodlands have many miles of nature trails for hiking & biking. This northside of town has many trees and forest areas. The public schools have excellent ratings. The areas of Kingwood, Oakhurst, The Woodlands, Eagle Springs, Summerwood, Fall Creek as well as the developments along Lake Houston have a variety of new home builders. Oakhurst & Fall Creek have many golf course lots. If you are considering building a custom home there is a very good choice of lots available and excellent builders.The Northeast side of town is the priemier commute to downtown, only about 20-35 minutes. Homes in the areas listed above range from $80,000 to over a million. I am committed to finding the right home for my clients at the right price. The Northside of Houston has many trees, and Lake Houston,Lake Livingston & Lake Conroe are also close by.This area has the easiest access to the airport and good highway access to downtown Houston, ranging from about 20 minutes to 35 minutes via Hwy 59. You will also find some of the best golf courses, highly acclaimed schools, close to shopping, an abundance of churches & private schools, great medical & Hospitals. Local theaters, musicals & plays are highly acclaimed. I live and work by the principles of The Golden Rule, treating my clients as I like to be treated. Strong work ethics.... I will listen to the needs of you and your family. I work with people at any price range and give 100% to make you a satisfied client. Approved by Relocation companies.. Many repeat clients, and lots of referrals from satisfied clients. Allow me to show you and give you over 25 years of experience in this area. I try harder!!! Resident of Kingwood since 1977. 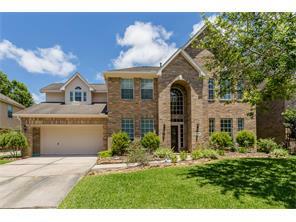 Licensed Houston Realtor since 1978 Selling Northside Houston Master planned Communities through out Houston. Golfers & outdoorsmen love the many golf course choices, lakes and rivers. Humble Independent School District and The Woodlands Schools are Top rated schools. Many have received the Exemplary status. Education and sports ranking are some of the highest in Houston. Call me at my toll free number anytime (800) 320-3027 or local cell number 281-630-7830. Tell me how I can help you! I would love to represent you as a Buyers Agent. If your need to list your home I am also a Certified residential Specialist & among the top producers in my office. I was the recipient of an award by the readers of the local newspapers & areas FAVORITE Realtor for Kingwood, Atascocita, Springs. Favorite Realtor for 2 years straight. This was on a survey from a local newspaper. So you know you will be in good hands. Joan Osborne with RE/MAX Associates Northeast is a real estate professional in TX. View Joan Osborne bio, Listings by Joan Osborne, Neighborhoods where Joan Osborne is active and more. You can contact Joan Osborne by phone, email or visit the website.